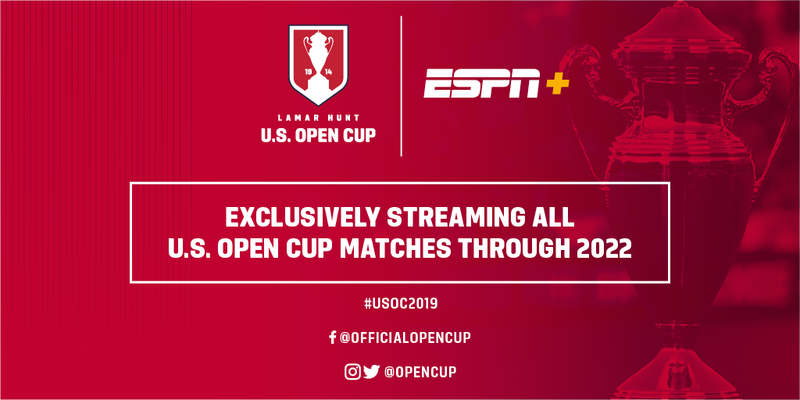 U.S. Soccer and ESPN+ have reached an exclusive, multi-year media rights agreement for the Lamar Hunt U.S. Open Cup, U.S. Soccer’s national championship for clubs and the longest-running domestic cup competition in the United States. All U.S. Open Cup matches from the First Round through the Final will air exclusively on ESPN+, the direct-to-consumer sports streaming service, beginning this year and running through the 109th edition of the tournament in 2022. The deal, negotiated by SUM on behalf of U.S. Soccer, includes rights in all languages. The 2019 U.S. Open Cup on ESPN+ kicks off May 7-8 with the First Round, featuring 38 amateur and Division III professional teams from across the United States. Twenty-five Division II professional teams enter in the Second Round on May 14-15, while the Third Round, scheduled for May 29, provides a final hurdle before lower division sides get their shot to square off against the 21 U.S.-based Major League Soccer (MLS) clubs on a national stage. Those Division I MLS teams join the competition in the Fourth Round on June 12. This year’s competition will be the 106th edition of the Lamar Hunt U.S. Open Cup, the world’s third-longest-running open soccer tournament. 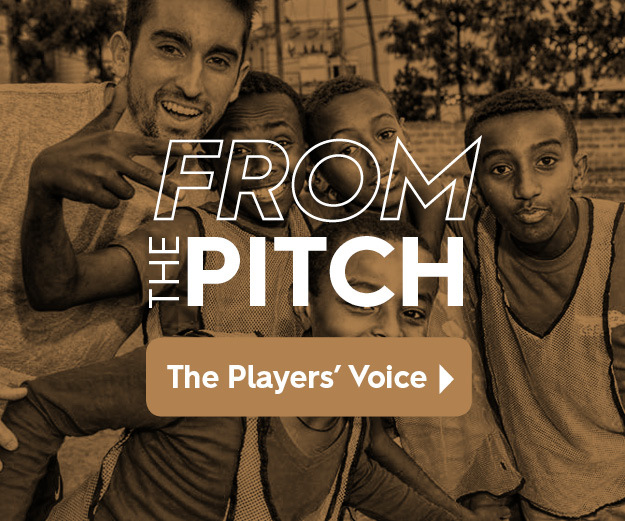 First played in the 1913-1914 season, the competition is open to professional and amateur teams affiliated with U.S. Soccer. The winning team qualifies for the Concacaf Champions League and wins $300,000 in prize money. The team that advances furthest in the tournament from each lower division is also awarded prize money. The Houston Dynamo are the defending champions, continuing a streak of dominance by MLS teams in the competition. While recent years have seen lower division sides come close to a winning run, the last non-MLS team to win the U.S. Open Cup since the league began in 1996 was the Rochester Rhinos in 1999. ©2019 El Paso Locomotive FC - USL / SportsEngine. All Rights Reserved.